New Clue Scrolls are rumored to have been released! If you know any of them, questions, answer or both, please let me know so that I can add them to this guide! You will get credit! Q) Out he is posted, stain is he though! Very useful, especially since I'm not very good with riddles, lol. A) Not yet implemented, hold tight! I'm sure the devs are working at light speed to correct this! Speak with the new merchant at spawn. A) Craft 3 Jack o'Lanterns. Hmm...are you sure about that? I crafted 3 jack o lanterns a few times and nothing. 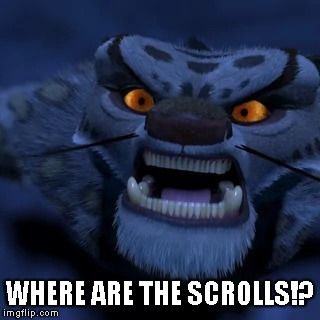 how do you get scrolls? ive killed over 1000 mobs and havent gotten any. Cant play right now but try hitting redstone ore, this will make you “touch light” as redstone ore lights up if you touch it. Mayby try it at night if it doesnt work. Now, tell me my fine sir, how do we get redstone ore? Are we supposed to craft it or eat it? This is what happened when I right clicked a beacon with it. i rightclicked a Redstone lamp on a redstoneblock in the middel of the night and it worked. Just want to point out a couple key things here. For the riddle ones, you don’t need to right click the scroll before saying the answer in chat. Likewise you don’t need to click the scroll on mobs for those type either. Also, for the “mine 10 unbreakable ores” Just mining 10 diamonds will trigger it, no need to use reserve. It’s not that the above things are wrong, it’s just that they’re misinformed. THANKS YOU! Has been really helpful! Has anyone completed the "Entertain enough to count on fingers, as the sky turns ever blue." one yet?